We present a conceptual framework for understanding and formulating ion transport in concentrated solutions, which pictures the ion transport as an ion-vacancy coupled charge transfer reaction. A key element in this picture is that the transport of an ion from an occupied to unoccupied site involves a transition state which exerts double volume exclusion. An ab initio random walk model is proposed to describe this process. Subsequent coarse-graining results in a continuum formula as a function of chemical potentials of the constituents, which are further derived from a lattice-gas model. 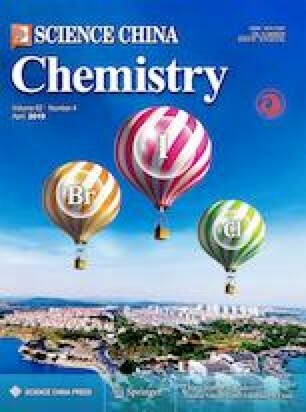 The subtlety here is that what has been taken to be the chemical potential of the ion in the past is actually that of the ion-vacancy couple. By aid of this new concept, the driving force of ion transport is essentially the chemical affinity of the ion-vacancy coupled charge transfer reaction, which is a useful concept to unify transport and reaction, two fundamental processes in electrochemistry. This phenomenological model is parameterized for a specific material by the aid of first-principles calculations. Moreover, its extension to multiple-component systems is discussed. This work was supported by the National Natural Science Foundation of China (21673163, 21832004, 21802170). J. Huang appreciates financial support from Central South University (502045001, 20180020050002).